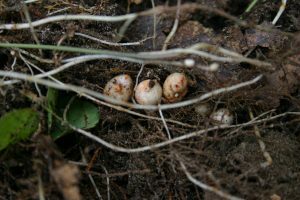 There is an unassuming small tuber found in many northern Michigan forests called hog peanut. Most people would not notice it. The pink flowers are small and hidden by the foliage. It’s a short dense plant easily mistaken for a mini bean like plant. However deep within this tiny plant harbors an amazing amount of power. 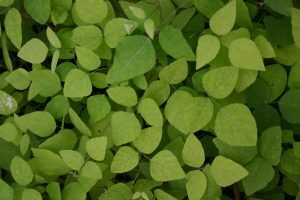 It can fix nitrogen from the atmosphere to the soil. Many plants in the bean family can do that. That is common. But the real power comes from it being able to do that in shade. That is not common. When I started growing this plant, the first thing I noticed was the amazing amount of animal activity surrounding it. Chipmunks in the fall were the attracted to the tubers. Deer browsed on the foliage. Voles collected large batches of them in the fall and winter and buried them in caches near the base of our hybrid oaks. Everyone seemed to take notice of this plant but me and I planted it! Eventually I started digging them up and realized the magic of this perennial bean plant. First the tubers are extremely hard to find in the soil. The skin of the tuber has a membrane that makes soil stick to it so it looks like a piece of dirt not a bean. The image you see above is the cleaned up version. 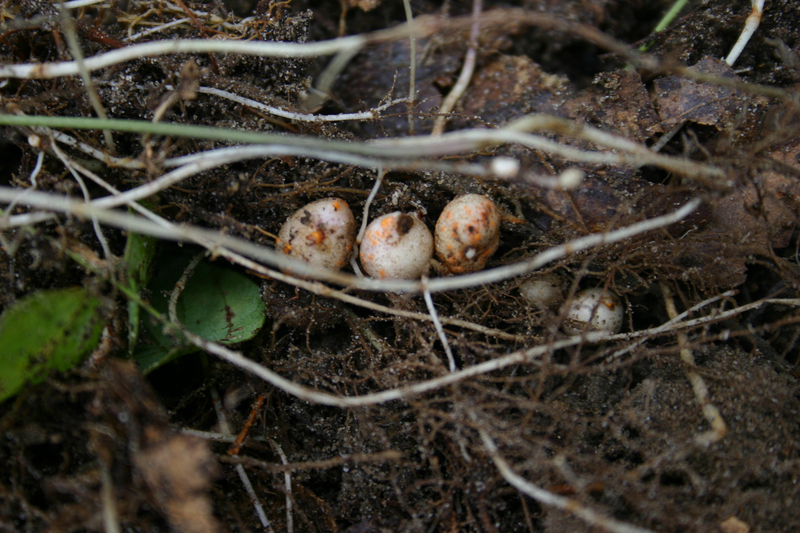 Besides the camouflaged casing, the tuber itself is of varying sizes. Some tubers are produced by pollination of a secondary flower near the base of the plant. I have no idea how this works but consider it like a peanut with a flower that dives into the ground after pollination. 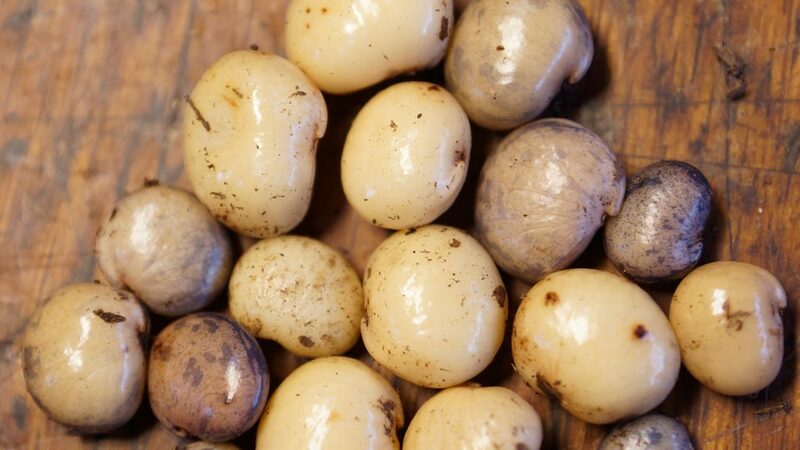 It wasn’t until I started growing them in pots that I realized that the seeds produced a variety of different sized tubers. Of course when there is variety in plants, there is always someone in horticulture that is snooping around. In this case, me. And that is how ‘Crispy Snack’ came into existence. So this spring, camera in hand I plan to do a study on its flowering habits, seed set and tuber production as well as the actual yields per acre. I will publish my finds in “Unassuming News”. Maybe someone will take notice of this….